Number of baseball teams in primary schools in Japan decreased by almost 20% in the last 6 years, partly thanks to the low birth-rate. Alarmed by such a downtrend of young baseball players, Japanese baseball community, both professionals and amateurs alike, are embarking on various promotional activities. 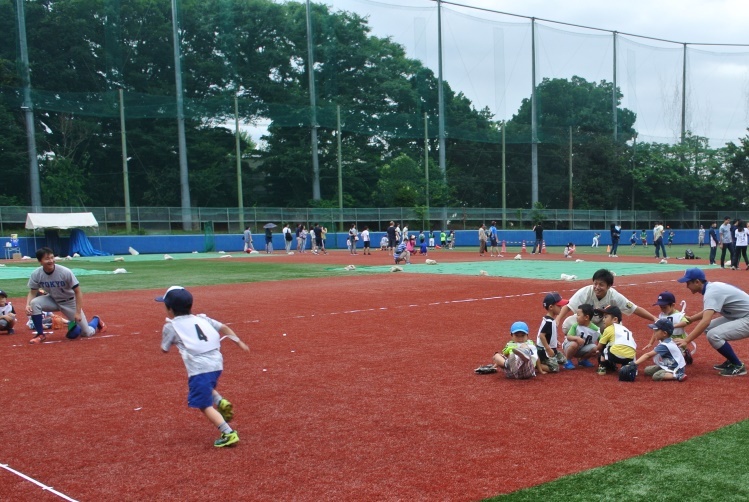 The All-Japan University Baseball Federation (JUBF) with about 380 teams and 28,000 players, appointed Kazushi HAMADA, manager of the University of Tokyo Baseball Club (UOT), as Chairman of Baseball Promotion Committee, and the member JUBF colleges are asked to host an event to play with baseball for children. On Saturday, July 1, 2017, a limited number of 50 children aged 5 to 9 accompanied by their parents and many friends were invited to enjoy the fun of playing baseball at UOT’s baseball ground. 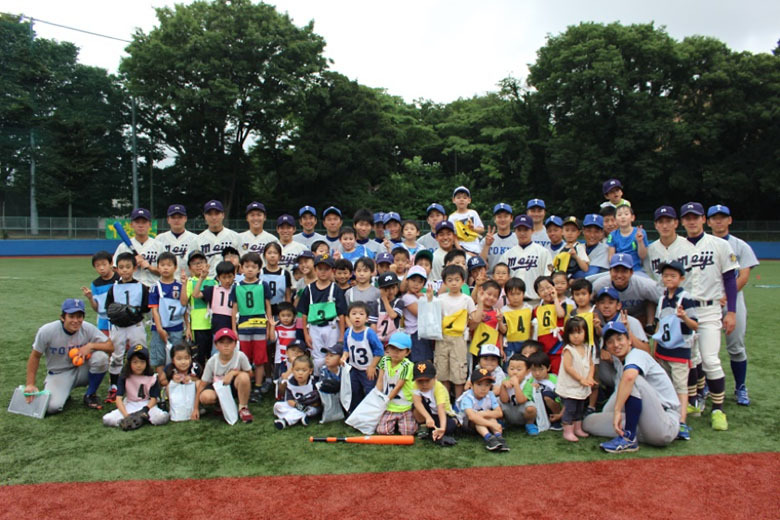 Players of UOT and Meiji University Baseball Club acted as coaches. Additional benefit to the accompanying parents was to learn “Raising Smart Kids – How did UOT players spend childhood” at an open-door seminar conducted on the main stand of the stand by manager HAMADA who is a cram school operator.